Prior to 2003, orchid species within the genus Guarianthe were known as Cattleya orchids. 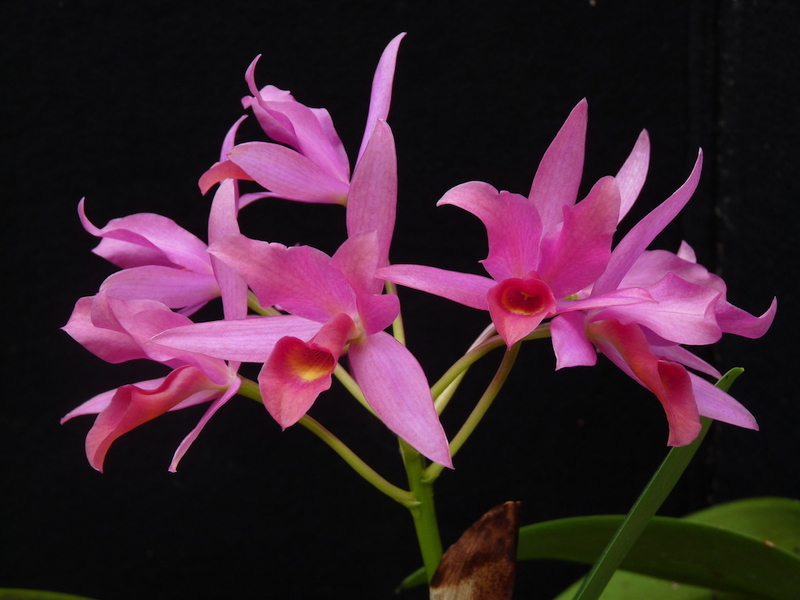 But several phenotypic differences as well as DNA analysis suggested that some Cattleya species the Gardens’ orchid collection consists of nearly 1,000 species from over 280 should be split off into a new genus – Guarianthe. There are four species and one natural hybrid in this new genus – all of which are held within the Gardens’ orchid collection. Guarianthe bowringiana grows in southern Mexico, Belize, Guatemala and Honduras in hot environments on rocky cliffs. Guarianthe patinii can be found growing wild in Costa Rica, Panama, Colombia, Venezuela and Trinidad and Tobago. It prefers hot, humid environments and blooms in the fall. Guarianthe skinneri is perhaps the best known species in this genus. It grows naturally from southern Mexico through all of Central America and is the national flower of Costa Rica. It grows epiphytically in trees or on granite cliffs and prefers very warm temperatures and high humidity. Guarianthe skinneri is very similar to Guarianthe patinii – the major difference being bloom time. Guarianthe skinneri blooms in spring – Guarianthe patinii in fall. 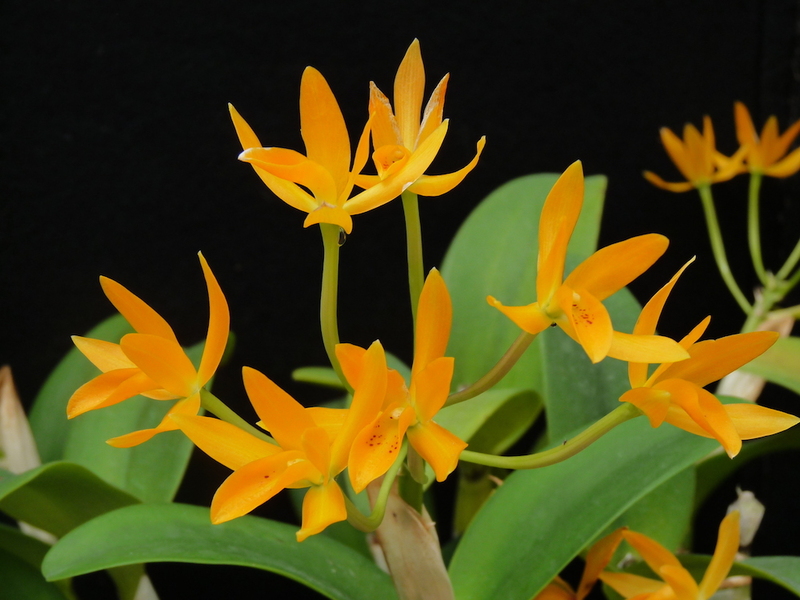 Guarianthe aurantiaca occurs naturally from Mexico south to Costa Rica. It can grow on exposed rock or in trees and experiences wide fluctuations in temperature. Guarianthe × laeliodes is naturally occurring hybrid of Guarianthe skinneri and Guarianthe aurantiaca. It grows high up in the tallest trees and prefers hot temperatures. Aside from their slightly different temperature requirements, culture for all Guarianthe species is similar. Provide plenty of water when actively growing but cut back slightly when not in active growth. Plenty of humidity and high light levels will help ensure plenty of blooms.